Democrat congress-critters are buying S&P puts. That sounds cheap insurance! Congress-critters are not subject to insider trading rules. They exempt themselves. Certainly something to Chu on….er dang iPad!…chew on. Speaking of Chu on….. and chew on…..Here is something to Cheechoo on…. There is some genuine curiosity from the mining community about this exploration play, and I believe John Kaiser has even mentioned Sirios on the KER in past audio interviews….. So that really caught my interest when someone else pointed that out to me. However, what they shared with me next about Golden Valley Mines seems like a weird over-looked opportunity…. or it is very possible that I just don’t understand this valuation correctly. I’d appreciate any feed back on this next part from anyone on how to value the 49% ownership of Abitibi Royalties (RZZ.V) (ATBYF) ??? Abitibi Royalties is also a prospect generator, that Rob McEwen has a large interest in (he owns 12%), and his protege Ian Ball is at the helm. Mr. Ball was formerly the President and was previously Vice President (Mexico)/Senior Vice President of McEwen Mining. He is credited with leading the McEwen Mining team that built the El Gallo 1 mine on time and budget, in addition to making the El Gallo 2 discovery in Mexico. Previously, Mr. Ball worked for McEwen Capital, where he was responsible for raising capital, structuring transactions and managing exploration programs throughout North America. Mr. Ball has played a role in various mergers and acquisitions throughout the natural resource sector, which have a combined market value of $11 billion. He originally began his career with Goldcorp in 2004. Besides their 4% interest in Sirios (100% interest achieved in their Cheechoo project) and Golden Valley will have a 2.5-4% NSR………..
(GZZ.V) owns 5,605,246 shares of Abitibi Royalties $RZZ This flagship asset of 49.4% ownership of Abitibi Royalties Inc. gives them half the exposure to Canadian Malartic & Abitibi’s other multiple Royalty streams !! (Why don’t more people talk about that?) Why is Golden Valley so cheap? Am I missing something here? If anyone has any thoughts on this, please post something under this as I’m trying to wrap my head around that. Anyway, I don’t know quite how to value all that, but if anyone has any thoughts they would be appreciated. It makes no sense why anyone would purchase Abitibi Royalties for a 51% interest in their company, when they could get 49% of Abitibi by way of Golden Valley, and then also get access to 4% of Sirios, 60% of Nunavik Nickel Mines, 37% ownership of Uranium Valley Mines, and 15% of the BonTerraResources Inc. JV project after they do their earn in work + the 3% NSR. Right?? It has also been postulated, that Osisko Gold Royalties could have a backdoor into owning roughly half of Abitibit Royalties by way of Golden Valley Mines. For a second act Osisko may then take out Abitibi’s 51%, and they’d have picked up 60% in a Nickel company, 37% of a Uranium company where Rob own’s 1/3 as well, and 15% of the Gold project with Bonterra Resources. That is right next to Goldcorp’s Eleonor Mine. Something for investors to Chu on….. chew on….. and Cheechoo on…. Not quite yet, but c l o s e! 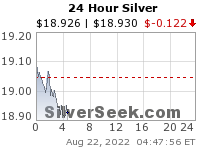 Hi Chartster – are you expecting a Silver dip soon? Yea Man… I’m expecting a smack down soon. It still could go up more before that happens, but technically, the weekly looks close to cooked. I think the rest of August and into September could be bad for PMs. 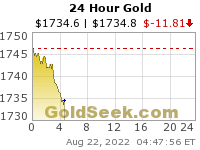 I doubt we see news lows, but it looks like it going to get hit hard. Peepers on high alert then….. Thanks. Good thoughts guys. Personal accountability – it seems obvious doesn’t it? Most people want someone or something else to save them though….. and if that doesn’t happen, then they can play the blame game or victim card. BTW – Thanks Big Al and Mr. T for having great attitudes in life. It is refreshing! Ex, speaking of Great Attitudes this morning, I had my 1st 40 BAGGER since Western Silver, I think in 2007; SilverCrest Metals, from .114 to 2.28! Or in other words $757 to $30,000+ in less than 10 months, Hallelujah & Amen! As Bill Murphy says it, You GATA be in it to WIN IT! Marty – that is an INCREDIBLE return in Silvercrest Metals. Fantastico! Again, it is bittersweet as I had a position in Silvercrest Minerals before the First Majestic merger, and then bought Silvercrest Metals after the merger at a low price. Unfortunately, I sold it much earlier in the year to bet on different Silver stocks and most of those only ended up being 2-5 baggers (which is still some of the best returns I’ve had in Silver for a while), but I’m kicking myself for doubting Silvercrest and exiting it. Congratulations though – well done sir! Ex, speaking of Great Attitudes this morning, I had my 1st 20 BAGGER since Western Silver, I think in 2007; SilverCrest Metals, from .114 to 2.28! Or in other words $757 to $15000+ in less than 10 months, Hallelujah & Amen! I guess I got a little excited at 1st with that 40 bagger. Sorry folks! It is wise that you have a set a Price Objective for a partial profit. I love it when a plan comes together. Thanks Big Al…. and Mr. Temple. This is why I listen every day. Great attitude will lead you. Heard your comment, “Trump acting like a buffoon.” I truly wish you would talk with Doc a lot more. Proverbs 29:2…..When the righteous are in authority, the people rejoice, but when the wicked beareth rule, the people mourn. Proverbs 26:26….A righteous man falling down before the wicked is as a troubled fountain and a corrupt spring.